Pick a shop before you need one When it comes to car repairs, preparation is key. The most important piece of advice the experts at CarRegistrationAdvisors.org would like to share with you is to begin searching for your go-to auto repair shop before you run into a car issue. If you wait until your car breaks down to find a reliable mechanic, chances are you will be rushed and forced to make an unverified choice. Ask for recommendations There is no one we trust more than our close family, friends and coworkers. So when you're in need of a good auto shop to have on speed dial, the team at CarRegistrationAdvisors.org suggests that you ask your inner circle for some reliable recommendations on shops that may have offered them great customer service. The most successful auto repair shops often gain popularity by word of mouth. 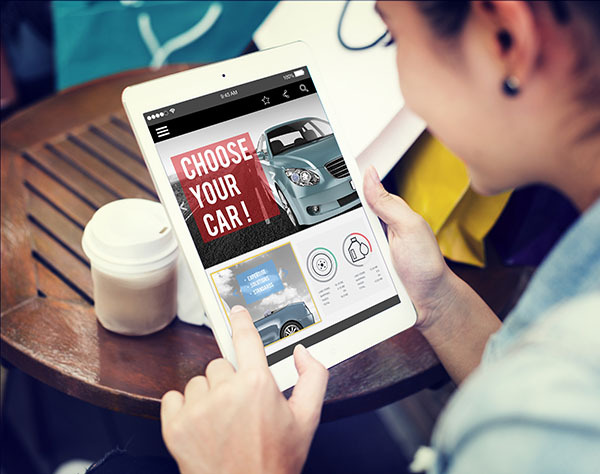 Research online Thanks to the internet, consumers can search online for local auto shops that have been successful. By using resources like the Yellow Pages and Yelp, you can review the details of each business in order to get an idea of whether or not it offers the kind of services that would best suit your vehicle. The group of experts at CarRegistrationAdvisors.org also encourages you to read through all the reviews that have been written about each business within your vicinity. This will allow you to see if any customers have had good experiences, or ifthey have made any complaints. Value organization and tidiness One of the most important attributes you should examine in an auto repair shop is its organization and cleanliness level. Although, you can't expect pristine conditions, there should still be some sort of organization within the shop. Another good tip is to check whether or not the cars in the lot are similar in value to your own vehicle. Get to know your car Find out which are the most common issues associated with the car you own, and then determine whether or not the auto repair shop you're interested in performs the type of repairs you would need. Some mechanic shops specialize in certain repairs or certain vehicles, so it is vital to inquire about whether your car would be able to get repaired if the time comes. Check technician credentials An auto repair shop is only as good as the technicians that work inside. Before deeming an auto repair shop as your go-to stop, it is important that you look into each technician and gauge his or her competence. Each shop should have a display setup showcasing technicians' diplomas, certificates and specializations in order to show customers that their vehicles are being handled by professionals. Always start with a small job Once you have decided on a reliable auto repair shop, the team at CarRegistrationAdvisors.org recommends that you start getting to know the work ethic of the shop by asking for a small job like an oil change or tire rotation. From there, you can get a feel for the level of professionalism and the timeliness of the business and then decide whether or not you trust it with more complex repairs.